(NaturalNews) Chances are, you or someone you know has either had a brush with or succumbed to cancer. This destructive disease has been rising steadily and will likely claim the top spot in the leading cause of death in the next few years, with very little hope from the conventional model in turning the tide. To stave off and even beat cancer, you have to have a fundamental understanding of the things that facilitate its development, and those things that halt or reverse its destructive process, so you can make appropriate changes to put the odds in your favor. This takes a complete lifestyle change, which you can begin by following the recommendations below. In simplest terms, cancer represents an accelerating process of inappropriate, uncontrolled cell growth - a chaotic process within the order of biology. When examined under a microscope, cancer cells are abnormally shaped, inconsistently formed, and disorganized and contain abnormal internal structures, which is the essence of biological disorder. Cancer, despite the fear it creates in people, is a natural phenomenon that represents the body's response to a continuous attack on its balancing and regulatory mechanisms by numerous factors. 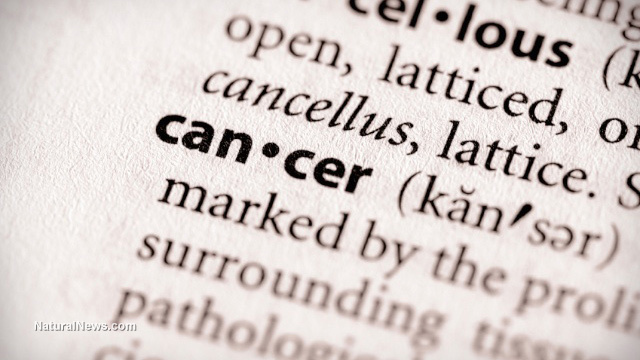 Every cell in the body has the ability to turn cancerous, and many do so on a daily basis. Normally, the immune system is able to protect the body by destroying these cells or reprogramming them back to normal functioning. However, if the body's defense systems have been damaged, this process cannot happen, which allows cancer to establish itself. This is why building a rock solid immune system is your foundational objective when tackling and evading cancer. Review of this list may cause despair due to the fact that these things seem so ingrained into our daily lifestyle and impossible to avoid. However, the goal is not perfection but progression towards eliminating these factors, if you wish to greatly increase your odds of eliminating and avoiding cancer. A focus on vegetables and fruits (low in sugar), pure water, adequate vitamin D intake, clean air, and earthing are also to be strongly considered. One may also consider other methods that have shown promise such as cannabis oil, oxygen therapy, the Gerson Therapy, and the "antineoplastons" treatment developed by Dr. Stanislaw Burzynski. In addition to these approaches, it is also important to take a proactive approach for cancer screening that doesn't necessarily involve medical intervention (see first source below for 8 ways to do it), so you can recognize and take quicker action, if required. However, if you follow these recommendations to a tee, you have done nearly everything possible to crush any chance of cancer developing or recurring in 2015. Remember, eliminating or avoiding cancer requires a lifestyle change, not a band-aid. To begin, focus on eliminating as many as the factors that facilitate cancer as you can, and direct your attention to daily consumption of the Top 8 Foods and Herbs For Healing Cancer.